In 1854 the Leven Railway opened, linking the town with Thornton Junction on the Edinburgh – Aberdeen main line. This helped it to become a tourist resort popular with visitors from the west of Scotland, and particularly Glasgow. Later in the 19th century the Leven Railway became part of a loop line of the North British Railway linking Thornton Junction and Leuchars Junction via St Andrews. The railway between Leven and St Andrews closed in 1964/65. 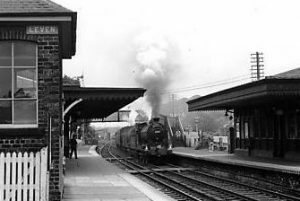 The railway between Leven and Thornton Junction closed to freight in 1966 and passengers in 1969. 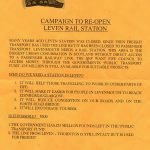 £1½M PLAN TO RE-OPEN RAIL SERVICE [Courier and Advertiser – Wed 25th September 1991] A TRANSPORT Pressure Group has unveiled an ambitious, £1½-million plan to re-open the rail passenger service to Levenmouth and Windygates. In a statement issued yesterday, the Scottish Association of Public Transport (SAPT) detailed their proposals for `sprinter’ access to the area, which they hope will be on line by 1993. The scheme would involve new stations at Levenmouth and Windygates, and the expansion of the train service to provide an hourly service to Edinburgh’s centre. These new proposals follow a successful SAPT campaign which should see the line between Stirling and Alloa re-open in 1994, and their chairman, Dr. John McCormick, said yesterday that the Leven line may beat that deadline. “I would hope that they should be able to do it by 1993. It’s easier because the railway is still in use to a power station at Methil, so funding only has to be agreed for the new stations and new time-tabling”, he said. The group argue that Leven, Methil, Buckhaven, and Windygates all stand to reap benefits from a fast, efficient service, providing a 70-minute link to the capital. This, compared with a bus journey of around 110 minutes, say SAPT, is bound to provide a boost for the area’s business, employment and tourism, and will bring a conurbation of 25,000 on to the ScotRail network. Dr. McCormick continued; “A good train service is widely recognised as the best alternative to the problems of road conversion, particularly on the Forth [Road] Bridge and the approach to Edinburgh. 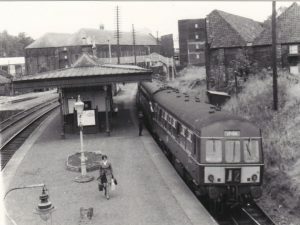 The last passenger train ran the line in 1969, leaving it to only infrequent use by goods trains to Methil’s power station and docks. SAPT claim that space already exists for a new station, next to the Bawbee Bridge and new  sports centre, providing convenient access to the nearby bus station, which would in turn connect the surrounding areas and the East Neuk. They also think that an intermediate station should be set up at Cameron Bridge, Windygates, to serve new housing developments in the area August 1992: HOPES FOR A RAIL LINK for Levenmouth have been run off the line. Consultants appointed to look at the feasibility of reviving the area’s rail service say it is “uneconomic” – and the move has been slammed by critics who say rail transportation is crucial to the area. Prof Christopher Harvie See this speech in context on They Work For You. 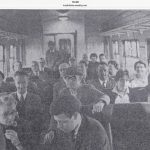 I remember the glory days of the Levenmouth line. Back in 1952, my family had a holiday at Leven. I remember seeing vast quantities of coal pouring down from the collieries into trains and off down to London or Denmark. Even today, the strongest case for the reopening of the line is the freight case. That is not to say that one should not pursue the passenger case. However, there is a remarkable redevelopment of freight in Britain, which had dwindled to the point that there was hardly any north of the Forth bridge. I am thinking not only of Diageo at Cameron Bridge, but the possibilities that arise in terms of opencast coal traffic. From talking to fruit importers in Fife, I know that, if rail services were accurate and timely enough, international fruit traffic from Spain could come to a depot along the line. Most important of all, with the development of new renewables technology, we have the linkage between firms such as Siemens in Germany, with its factories and electric works, and the energy park in Methil. A flow of dedicated wagonload traffic across Europe, keeping to careful schedules, would develop that linkage. We must remember that, in Germany, since 2005, rail freight has staged a remarkable recovery and that the amount carried is advancing at more than 10 per cent a year. Next to Germany, in Austria, the railways carry 35 per cent of the country’s total freight, compared with the minor amount of less than 12 per cent that is carried in Britain. However, that figure is expected to rise dramatically, given that, in June last year, most railway freight services in Britain were taken over by the German state railway company, when English Welsh & Scottish Railway was bought up by Deutsche Bahn. We must think about rather more than just the terminal line in Fife; we must also think about having facilities between Fife and the channel tunnel that will enable our freight to move smoothly, so that we do not get those terrible periods of being diverted all over the place because of supposed improvements that are being made to the line somewhere in England. If we get a dedicated and, preferably, Berne gauge – a continental loading gauge-line through England, we could have a real renaissance of rail traffic to Scotland and the Thornton to Leven line would become one of the major terminal areas for international freight into what will be, I trust, a booming Fife.